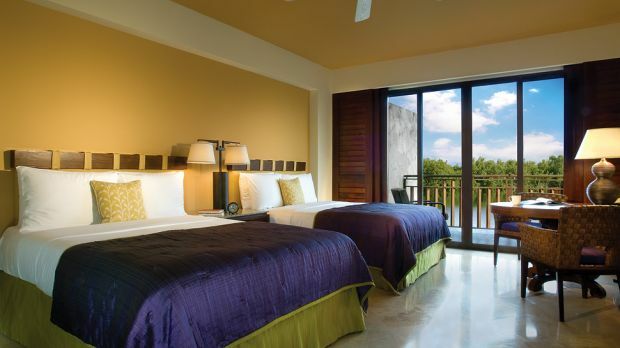 Enviar una solicitud de disponibilidad con las fechas que desee a Fairmont Mayakoba, Riviera Maya. Room with 1 King bed, balcony, spacious bathroom, individual A/C control, 32 inch LCD television, Bose wave radio and CD player, as well as three dual-line telephones with voice-mail. Non Smoking. Room with 1 King bed, private balcony, spacious bathroom, individual A/C control, 32 inch LCD television, Bose wave radio and CD player, as well as three dual-line telephones including voice-mail. Non-Smoking. Room with 2 Queen beds, balcony, spacious bathroom, individual A/C control, 32 inch LCD television, Bose wave radio and CD player, as well as three dual-line telephones with voice mail. Non Smoking. 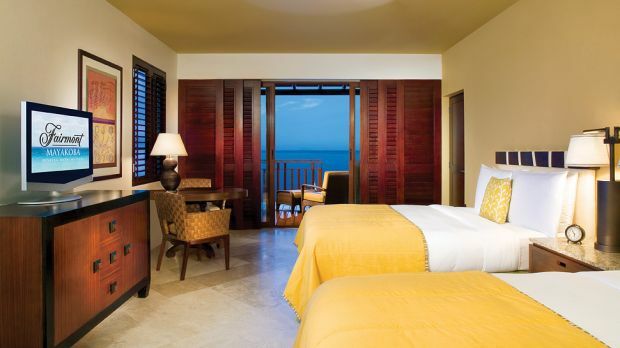 A resort fee of 15.00USD (per adult, per night) plus tax will be added to your room account. Casita with 2 Queen beds, private balcony overlooking jungle, spacious bathroom, individual A/C control, 32 inch LCD television, Bose wave radio and CD player, as well as three dual-line telephones including voice-mail. Non-Smoking. Casita with 1 King bed, private balcony, two chairs and a working desk, individual A/C control, 32 inch LCD television, Bose wave radio and CD player, as well as three dual-line telephones with voice-mail. Non-Smoking. Suite with 1 King bed, two bathrooms, separate living area, private balcony and exclusive infinity pool. Situated in the private area of the resort, steps from the beach, with exclusive butler service. Each suite features individual A/C control, two 32 inch LCD televisions, Bose wave radio and CD player, as well as three dual-line telephones with voice-mail. Non-Smoking. A resort fee of 15.00USD (per adult, per night) plus tax will be added to your room account. 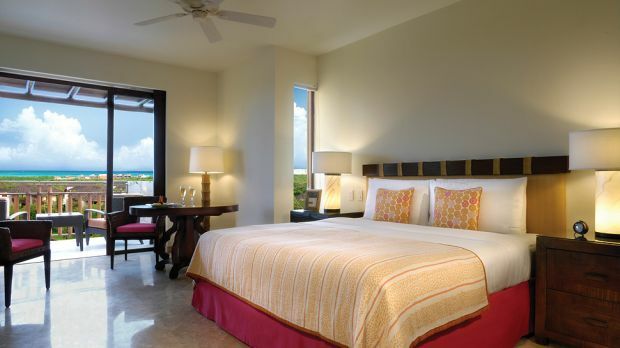 Suite with 1 King bed, private infinity pool, direct beach access, butler service and spa style marble bathroom.